Between May 26-29, 2015, the Mangrove Action Project (MAP)-Asia hosted 17 students from the Geography Department at York University, Toronto, Canada. 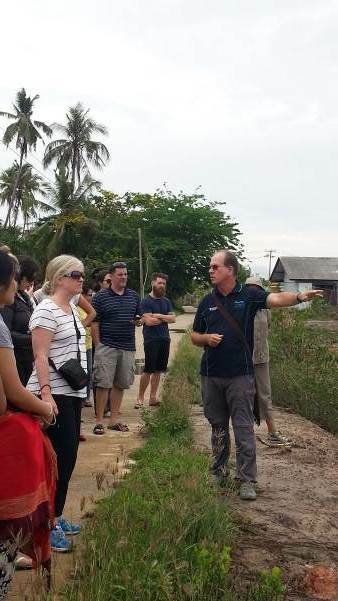 The field course abroad which took place in Chiang Mai and Krabi provinces was led by Professor Peter Vandergeest, who happens to be one of MAP’s advisors, and Dr. Tubtim Tubtim, who was the local course coordinator. The objective of the visit was to learn from communities on Klang Island, Krabi, Thailand about community-based environmental conservation and development. Jim Enright, MAP-Asia coordinator presented of the Ecosystems Protecting Infrastructure and Communities (EPIC) project which MAP has been implementing the Community-based Ecological Mangrove Restoration (CBEMR) concept under this project. EPIC investigates the role that healthy ecosystems play in reducing disaster risk and supporting community-based adaptation to climate change. The goal is to find and promote nature-based solutions rather than solely relying on hard infrastructure which is not only expensive but provides no goods unlike mangroves. 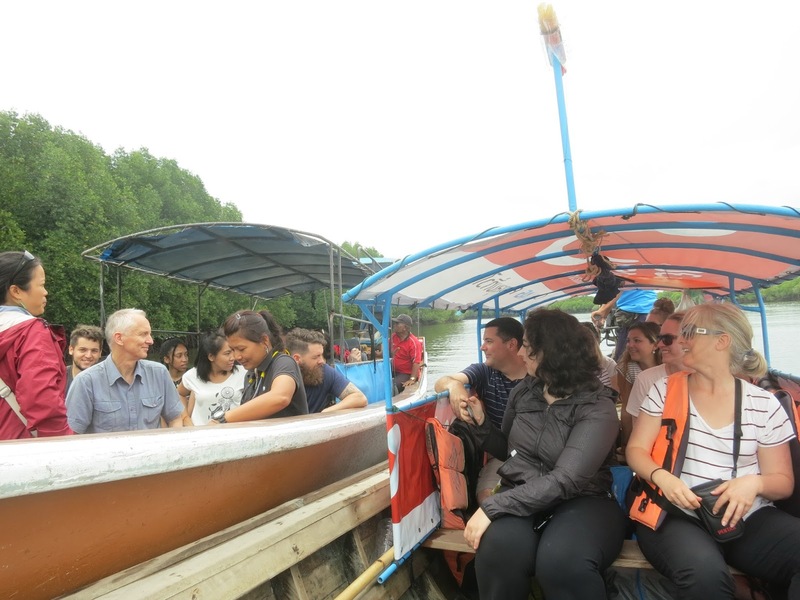 The students were also taken to visit one of the CBEMR demonstration sites at Ban Klong Kham, Krang Island, Krabi so they see the demonstration site first-hand. Students were taken on a boat tour of the mangroves while a local community mangrove conservation expert, Bang Non, explained the mangrove history stating at the end of the charcoal concession period the local mangrove landscape appeared red rather than green like today, as so much vegetation had been removed the red soils were exposed. He also the mangrove importance for local livelihoods in Krabi River Estuary, which is now a RAMSAR site. One of the course exercises involved the students researching topics in small groups by going out and finding local resource people to interview through a translator. The students split into 4 groups and interviewed a local government authorities and community members from 3 villages on the island. The different topics they selected to study were 1). mangrove and shrimp aquaculture; impact on natural resources and livelihoods, 2) tourism development; benefits and impacts to local communities, 3) erosion; the causes and projects/activities dealing with problems and 4) natural disaster preparedness. The field course was a great opportunity for MAP to disseminate the CBEMR methodology to students from different region who most experienced mangroves for the first time! York University students visiting the lush mangroves of the Krabi River Estuary. On June 9th and 10th, 2015 Jaruwan Enright (Ning) joined the IUCN-Thailand organized meeting in Bangkok as a partner of the Ecosystems Protecting Infrastructure and Communities (EPIC) project in preparation for the IUCN-Department of Marine and Coastal Resources (DMCR) meeting on June 11th also in Bangkok. Other IUCN-Thailand partner NGOs who were also implementing projects on the ground gathered to discuss and debate issues concerning Thailand’s new Coastal Resources Management Act, which will come into force at the end of 2015. The new Act presents new opportunities for community engagement but there are concerns that if not properly implemented there could be significant negative impacts. Under the new law, DMCR can designate Mangrove Conservation Areas and Marine and Coastal Resources as protected areas in order to save important coastal and marine resources. The new law encourages the participation of communities and local governments in conservation by forming multi-stakeholder platforms that can propose management plans for the marine and coastal resources. Trat Province in the Eastern Gulf of Thailand will serve as one of the demonstration sites for the implementation of the new law. IUCN will work with DMCR on conducting field research, capacity building and multi-stakeholder dialogues to set up marine and coastal resource protected areas and management plans. THAILAND - On 9-10 June, 2015 Jaruwan Enright (Ning) joined the IUCN-Thailand organized meeting in Bangkok, as a partner of the Ecosystems Protecting Infrastructure and Communities (EPIC) project in preparation for the IUCN-Department of Marine and Coastal Resources (DMCR) meeting on the June 11th in Bangkok. Other IUCN-Thailand partner NGOs who were also implementing projects on the ground gathered to discuss and debate issues concerning hailand’s new Coastal Resources Management Act, which will come into force by the end of 2015. What? No Last Word? We welcome your comments and news stories, opinions and ideas. Introducing the “refreshed” Blue Planet Links website, a go-to resource for teachers, students, and the interested public as they navigate the web for useful material about water. 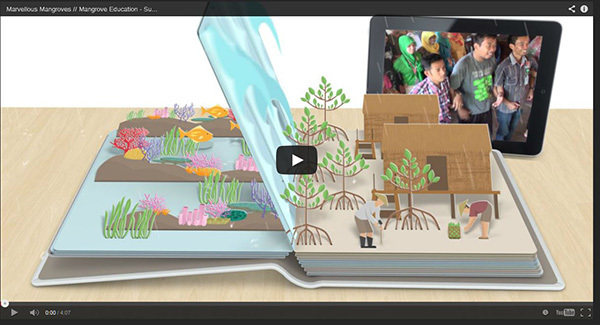 Through fun and interactive educational games khun Bobby managed to reach a large audience of students who were excited to learn about mangrove conservation and restoration. PANAMA – In the last three centuries, 87% of wetlands worldwide have been degraded, said Wetlands International, before the international conference in Uruguay wetlands and the commemoration of World Environment Day June 2. AUSTRIA - Our planet is facing a crucial test today. All over the world we can see the negative impacts of our environment’s pollution and destruction to the detriment of millions of people, and with dire consequences for all of our futures. You have submitted your project “Community-based Ecological Mangrove Restoration (CBEMR)“ for the Energy Globe Award, today’s largest platform for sustainability. 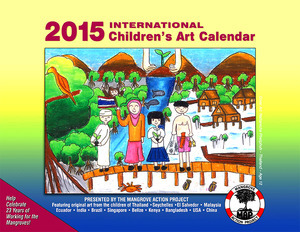 Over 170 countries sent a total of over 1500 entries. We are delighted to inform you that your submission was chosen as best project of Myanmar and will be honored with the National Energy Globe Award Myanmar! Congratulation on this outstanding achievement! The projects of all National Energy Globe Winners including yours will be presented on 5 June, the UN’s World Environment Day to a global public on www.energyglobe.info. The main objective of this action under the patronage of UNESCO and in cooperation with UNEP, is to point out that there are a lot of creative people on our world - like you – having implemented great projects with solutions for every problem. Your submission is automatically evaluated on the international level too and we will contact you in case that you are nominated for the Energy Globe World Award in winter.